Sue Garman has done it again with this beautiful rendition of a red and green antique applique quilt; it is simply stunning! The thirty-six 10-1/2 inch (finished size) blocks are sashed and set within borders of vines and swags. 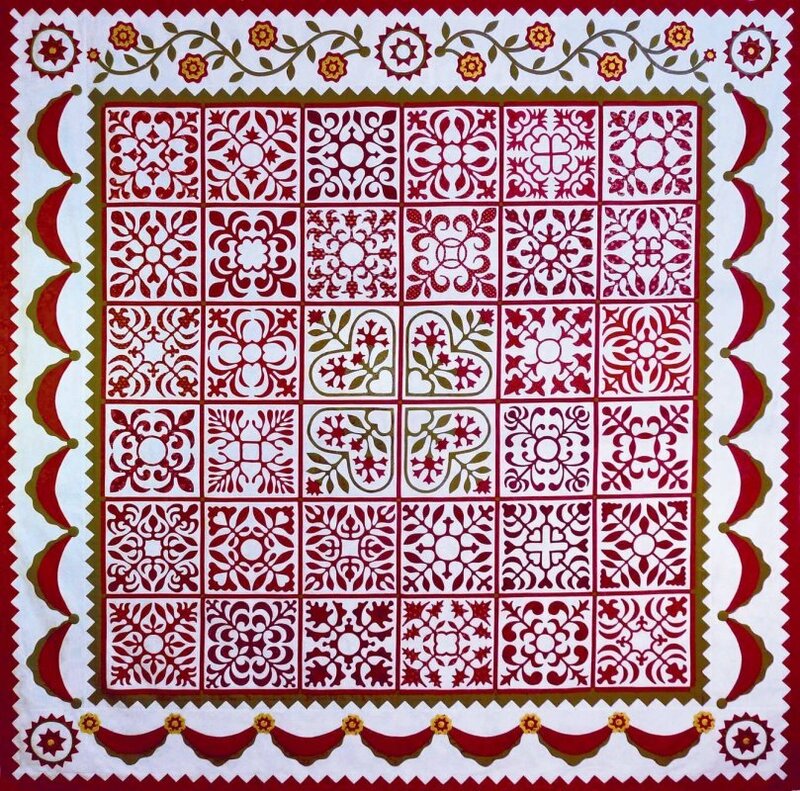 Sue's quilt is based on an 1847 quilt by Sarah Holcomb. The photos do not do the quilt justice, but you can check out Sue's hand-quilting in the detail photo. The finished quilt measures 88-1/2 inches square.